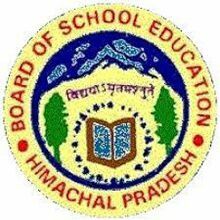 HPBOSE 12th Admit Card 2019: Himachal Pradesh Board is expected to release the 12th class board exam 2019 Admit Card in the official website hpbose.org; the students who are going to write the 12th exams in Himachal Pradesh state under HPBOSE can visit the official website and download their admit card at least a few days before the exam. Previously, the board has released the time table for the Himachal Pradesh 12th students regarding the board exams and students are getting prepared for the exam according to it. Students pursuing class 12th in HP all are waiting for the HPBOSE 12th hall tickets 2019 can expect the hall tickets in the month of February. Students can shortly download HP Class 12th hall ticket 2019 from HPBOSE website. The hall tickets will be available for 1st and 2nd years for all the streams science, maths, and arts streams. More details, students can go through this article. Himachal Pradesh Board of Secondary Education (HPBOSE) is the state level educational organization that monitors the secondary and higher secondary education in the state of Himachal Pradesh. The HPBOSE is the state level education board that monitors the class 10th and intermediate education in the state. The board annually monitors the syllabus and examination patterns and various other associated aspects of the education curriculum in the state. The HPBOSE conducts the academic examinations in February/March months for all the students and releases the results in April/May months. Yearly, lakhs of students from Himachal Pradesh gain the certification from HPBOSE Board. The students presently undergoing the education under this board can get ready for the academic exams 2018 -19. If you are looking to download the HP 12th admit card or Hall ticket from the official site, the process is very simple. You just need to visit the official site, search for the link, enter necessary details and download your admit card to write the exams. Once you get the Himachal Pradesh 12th hall ticket, it is necessary that you need to check all the details given in the admit card such as exam timings and dates, examination center and its address, your personal details and instructions are given on it. Verify that all the details are correct and make sure to follow the instructions to appear for the exam along with your respective HP annual exams hall ticket. Everyone who wants the Himachal Pradesh 12th exams need to follow these details and download their admit card at least 10 days before the exam and take a print out of it for carrying it to the exam center to write the exams every day. HP Intermediate/12th Hall ticket contains a lot of information regarding the student and the examination details printed on it. Visit the HPBOSE website, hpbose.org or go through the direct link given below.